This city council in Spain made it possible for its citizens to request public services more easily and for these requests to be answered in less time. Thanks to a government team and some employees who collaborated in the implementation and start-up of an Electronic Office and a file manager, as part of a comprehensive e-Government solution. “Implementing Electronic Government in our town hall has allowed us to reduce the average time of processing and thus respond faster to the needs of citizens. Imatia helped us to improve many processes that we used to do manually and without sharing the information available, but above all, they continually and progressively collaborated with public employees and adapted to our needs”. Rosa Losada Suárez, General Secretary of the City Council of Vilagarcía de Arousa. In 2016, the city council of Vilagarcía de Arousa performed most of its procedures manually. Although they had a file manager, this was only used in the Registry and in the Department of Urban Planning, since they were the only areas where the responsible personnel had been trained at the time. In the rest of the city council, they had some computer applications, but these were not connected, they did not automate the most important tasks, nor could work with unified information about the procedures. In practice it was still a manual job, even if computers were involved. On the other hand, the city council did not yet have an Electronic Office. When a citizen wanted to request information or to carry out any type of procedure he had to go to the City Council and be attended by a public employee. For many years, this way of working had been sufficient to respond to the needs of the City Council, but in 2016 citizens demanded a faster and easier to use service, in accordance with the advantages that technology was already providing them in other areas of their life. For their part, the vast majority of public employees were in a similar situation, since they spent much of their time doing routine and tedious tasks, which were not rewarded with better service to the citizen. Aware of the situation, the government team of Vilagarcía decided to act on the matter and seek a solution to modernize the City Council. With the encouragement of its General Secretary, Rosa Losada, and the head of the IT department, Juan Luis Núñez, they began to study the different alternatives. 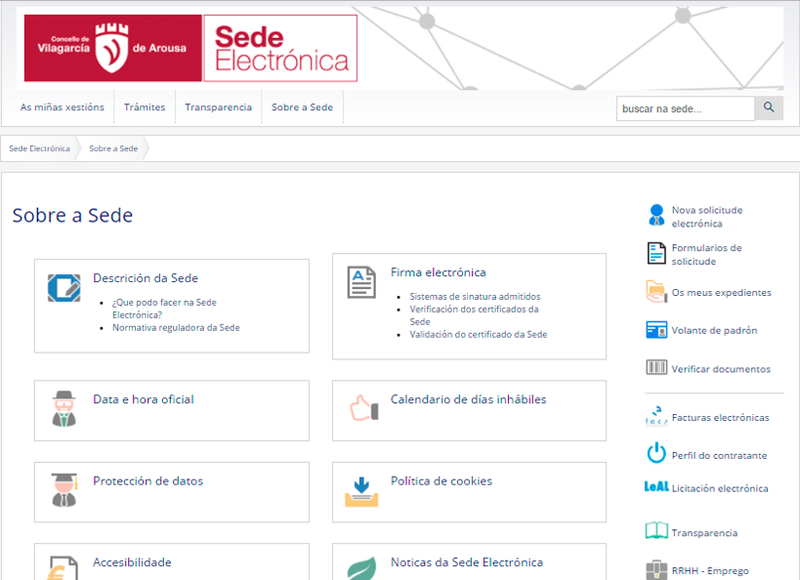 Finally, they decided to put their trust in Cividas e-Gov, the file manager who was already working successfully in the areas of Registration and Urban Planning and extending its use to the rest of the municipality. The key to achieving this was the hiring, at the beginning of 2017, of a dynamic service for public employees, in which an expert in Cividas e-Gov and Electronic Government would provide professional in situ technical assistance. One of the characteristics that was most important for the government team was the modular nature of this solution, which allowed them to evolve at the pace they needed, giving special importance to achieving the acceptance of users. The solution developed by Imatia also had good experiences in other municipalities and was present in the main governments of Galicia. In this way, the internal processes in the City Council were streamlined, automating many of the tasks that were previously performed manually and providing employees with a mailbox in which they were continually update with their tasks and their respective priorities, all on a single repository of files in addition to many other tools that facilitated their daily work, such as electronic signature. At the same time, the development of the Electronic Headquarters of Vilagarcía de Arousa was launched. On this website, citizens would have access to information on all the services available in the City Council, as well as the requirements and forms necessary to request them. In addition to other features, such as the ability to check the status of your files or download official documents, such as census forms. 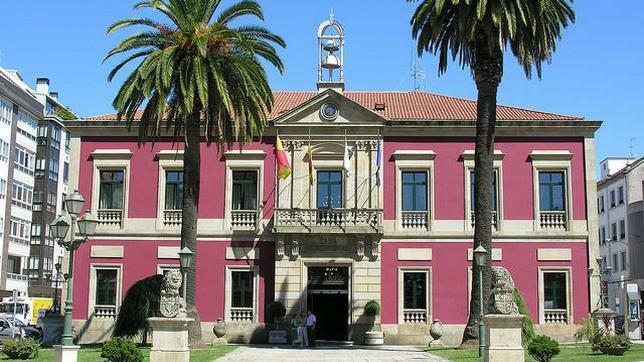 The result was a success for the government team of Vilagarcía de Arousa, as well as the public employees of this municipality, who currently use Cividas e-Gov to process 95% of the administrative files of the City Council. The staff quickly perceived the benefits that this solution provided them in facilitating and making their work more efficient, which translated into a close collaboration of the entire municipality to achieve the final success. In their own words, Cividas e-Gov has allowed them to save a lot of time in the processing of files. On the other hand, many citizens began to carry out their procedures online. Mainly for their convenience, since trips, delays and time restrictions are avoided; but they also reduced face-to-face attention in the City Council, which allows public employees to dedicate themselves to other tasks. Almost 200 monthly requests arrive through the Electronic Headquarters, 20% of the total. The success of the solution has been based on the increase in efficiency experienced, as well as on its ease for change management and the iterative implementation of the processes to adapt to the way of working of the users, being the acceptance of the latter the key fundamental for the achievement of the objectives set. A success that has led the government team to continue developing the e-Government in Vilagarcía de Arousa, hand in hand with Imatia. At the beginning of 2018 the Electronic Headquarters of this town hall was integrated with the Cl@ve platform, an electronic access system to public services promoted by the Government of Spain, which aims to unify and simplify this process so that citizens do not have to remember passwords different to access the different services, they are one of the first town councils in Galicia to make it possible. Vilagarcía de Arousa is a Galician city council located in the region of O Salnés (Pontevedra). It has more than 37,000 inhabitants, being the ninth most populated in Galicia, and is located 25 km from the city of Pontevedra. Its main commercial activity is linked to maritime trade, thanks to its location in the Ría de Arousa and its historic port, active since the mid-nineteenth century. It is also an important tourist destination, as well as fairs and congresses, due to its proximity and good connections with the Rías Baixas.